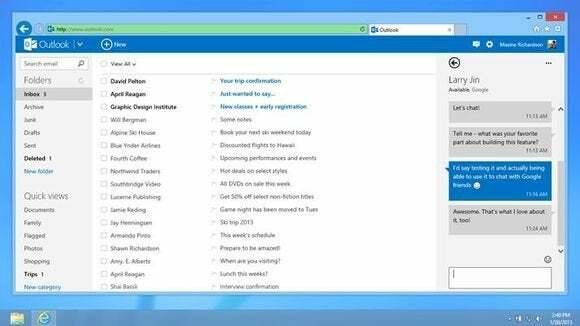 Microsoft said Monday that it is eliminating the ability to link accounts within Outlook.com, replacing them with aliases instead. Currently, Outlook users can link their account with others from within Outlook.com. Outlook allows users to not only read email from within the Outlook.com context, but also send emails as if they were in those other domains. Now, according to Microsoft, those Microsoft accounts will be unlinked, and made inaccessible to Outlook.com. In the near term, Microsoft will begin unlinking those previously linked accounts. Instead, Microsoft has proposed an alternative: using Outlook.com aliases instead. What’s the difference between an alias and a dedicated email address? An alias can provide anonymity for users, without being tied to an actual account. Let’s say that one owned the email address foo@outlook.com. Using the alias feature that Microsoft pushed to the public in 2011, one could set up IamJoeSmithZ@outlook.com, hand that email out to the public, and receive email sent to that address. As an alias, IamJoeSmithZ@outlook.com wouldn’t require a dedicated password; if that address was set up as a second, linked account, it would. Why is this important? Security. According to Microsoft, owners who used the secondary accounts less frequently didn’t pay as much attention to them. That can mean that those secondary accounts become a back door of sorts into your main Outlook.com accounts. Microsoft is also trying to use a single Microsoft Account to link all of its services together—your Xbox gamer score, your email inboxes, your calendars, your people, and your files, as well as to connect to all the networks you care about, Doerr wrote. If this sounds like a hassle, Microsoft has put in place a few features to try and smooth the transition. First, email can be auto-forwarded from those secondary accounts, so even if you have a secondary account you’d like to keep in place you don’t always have to sign into it. Likewise, you can configure that additional accounts as a “send-only” address, and send email from that secondary account from the primary Outlook account. A Microsoft spokeswoman said that Outlook.com users can still connect their accounts to others provided by Microsoft or Yahoo using SMTP.